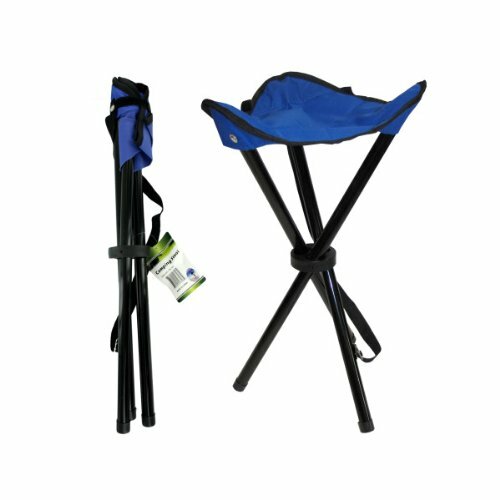 The compact stool is lightweight and ideal for outdoor events such as baseball games, camping trips or picnics. Has a convenient carrying strap attached for easy and convenient travel. Stool has a wide tripod design allowing it to distribute weight evenly. Can also be used a foot stool. Easily folds open and securely closes with a hook and loop strap. Measures 18" tall when open with a 12" triangle shape seat. Weighs a little over 1 pound.